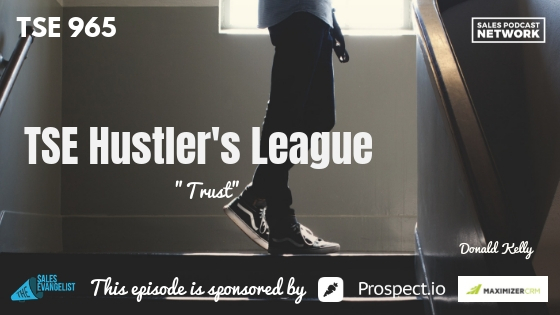 TSE 965: TSE Hustler's League - "Trust"
LinkedIn is an important resource for sellers and companies, but we hardly know our hundreds of connections. It doesn’t work to pitch people that we hardly know anymore. You must build trust. 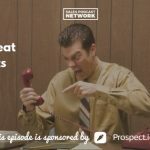 On today’s episode of The Sales Evangelist, we talk about the importance of trust and the relationships and connections the result when we build it. Once we realize the importance of connections, we get busy connecting with everybody. We connect with everyone in our industry and everyone in our Gmail. And though we’re connected to a lot of people, we don’t regularly communicate with most of them. They’re simply connections. But connections don’t necessarily translate into business. In fact, we all have people in our lives who are important to us, but who we wouldn’t recommend to a trusted partner. We don’t want to recommend them because it will be on us when it goes bad. 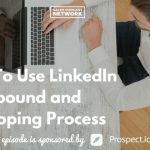 Instead of working to get a huge number of LinkedIn connections, focus on building genuine connections with people you actually communicate with. Call them. Email them. Share an article you think is relevant to them. Congratulate them on important events. Text them. Focus on personal touches. Simply being connected on LinkedIn won’t generate revenue for your company, and your connections on LinkedIn won’t automatically turn into trusted allies. You must build trust and become a trusted advisor. We frequently talk about the fact that people like to do business with other people. How can you create a personal touch? Set time on your personal calendar to connect with people on LinkedIn. Respond to your new requests or send personal messages. Go alphabetically each day if it helps you break it into smaller pieces. Instead of reaching out to people purely to sell them something, you’ll be building value. There’s a difference between connections and spam. Share educational information like microblogs or other content you’ve created. When people see that you’re active and generating valuable content, they’ll begin to trust what you have to say. Find out what’s important to the people you’re connected with. Keep their information in the back of your head and watch out for new connections who might be a good fit for your existing connections. If you know of a company that is hiring and you know of a good prospect, ask if you can make an introduction. Focus on the simple things that will help your prospect be successful.